Welcome to Action for Swifts, a commentary on the activities, ideas and thoughts of people who care about Swifts. We welcome guest posts, case studies and reports, especially from Swifts Local Network (SLN) members. 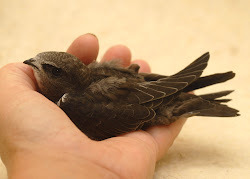 Please send to actionforswifts@gmail.com for publication. To find topics of interest, use the LABELS & LINKS sections, or use search, top left. Click on any image to see it enlarged. This is a summary of a Swift attraction call system based upon the Cheng Sheng Player Amplifier. This system has been something of a game changer because of its ease of installation, ease of operation and effectiveness. We also cover when to play attraction calls and solar-powered battery-driven systems. The playing of attraction calls is the nearest thing to a 'silver bullet' in encouraging Swifts to occupy new nesting places. The components needed are low cost, easy to install and easy to control with a digital or mechanical timer. Calls, in MP3 format, can be held on an SD card or a USB memory stick. 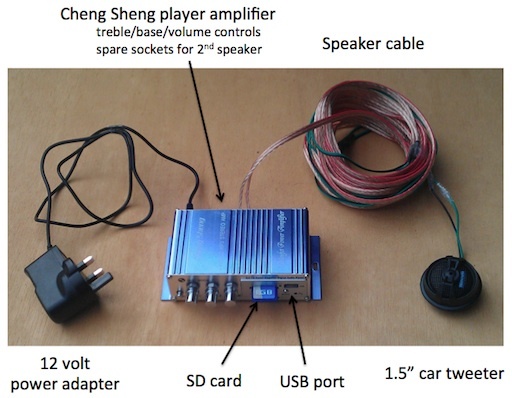 The Cheng Sheng player amp can also run off a 12 volt car battery, with solar panel, described below. 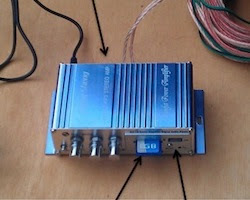 Use solder or a small connection block to attach the tweeters to the speaker cable. Attach 1 (or more) tweeter(s) (polarity does not matter). We recommend a 240 volt digital timer because it can survive loss of power without losing the time or program settings. We have used the Time Guard TG77 7 day timer. It is simple to program, is reliable, it has an on/off light and is available at a good price from John Lewis in the UK, see here. 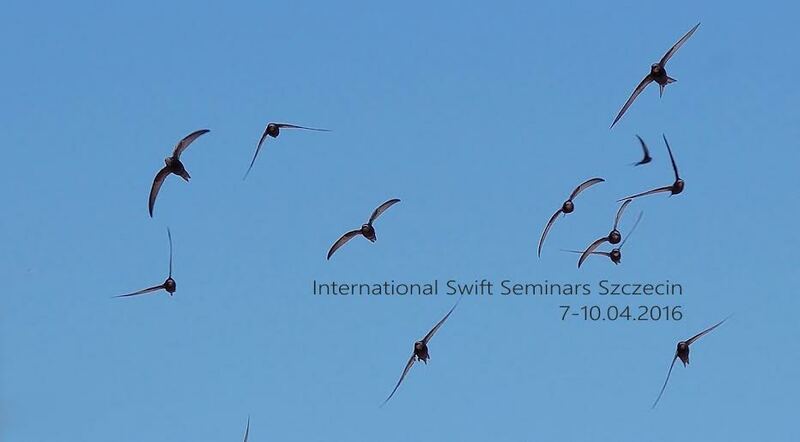 Rick Wortelboer uploaded the file 'Set of selected Swift calls.zip' to the Files/Swifts section of SMSWW,; requires login. These are some of the same tracks as the previous link, with quiet periods inserted. 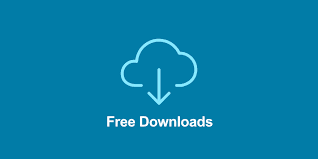 Swift Conservation well tried calls on CD and supplied in MP3 format. Jacobi Jayne good quality calls on CD - need converting to MP3. Expensive. If mains power is not available, then a 12 volt battery can be used. A car battery of 45 amp-hours should provide 100 hours of continuous running before recharging is necessary. The centre of the Cheng Sheng plug/socket connection is +ve. 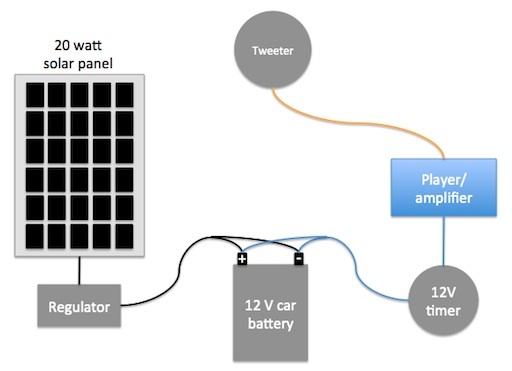 If regular recharging of the battery is not practicable, the alternative is to add a solar panel. We have used a 20 watt solar panel (costing £30) and a Morningstar SunGuard 4.5A voltage regulator (costing £28) from Midsummer Energy in Cambridge. This is sufficient to keep the player going for at least 10 hours a day. We recommend DC12V Digital LCD Power Programmable Timer Time Switch Relay 16A. It requires some wiring up, but is a low price, easy to program and works well. It is also available on Amazon. In all situations, attraction calls are essential to accelerate the process. 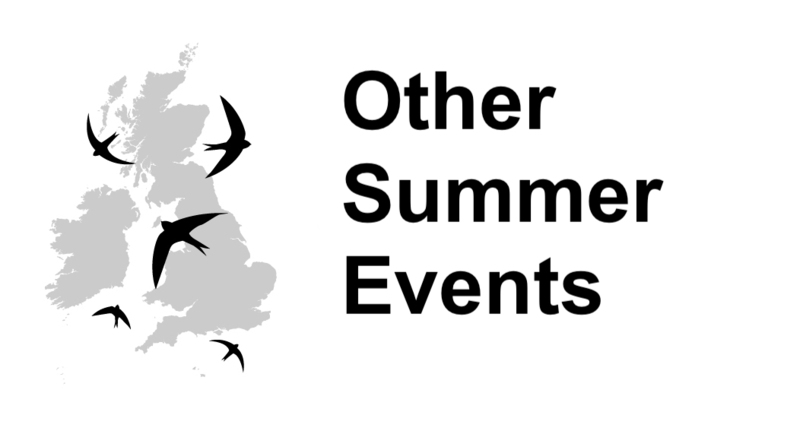 As a sample of success, by 2014, 25 of 40 projects (62.5%) playing attraction calls had at least 1 pair of Swifts. However, nest boxes installed as a replacement for lost nest sites can be very successful, even without playing attraction calls. 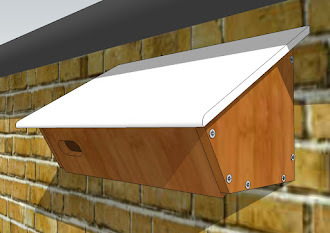 Place tweeters close to the nest boxes where they cannot get damp e.g. on, under or in a box. Or from a sheltered window sill or even at ground level. 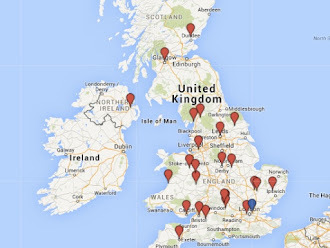 In the UK, the attraction call season runs from the end of the first week of May until the end of July. Start about 7th May if you are providing boxes for displaced birds. 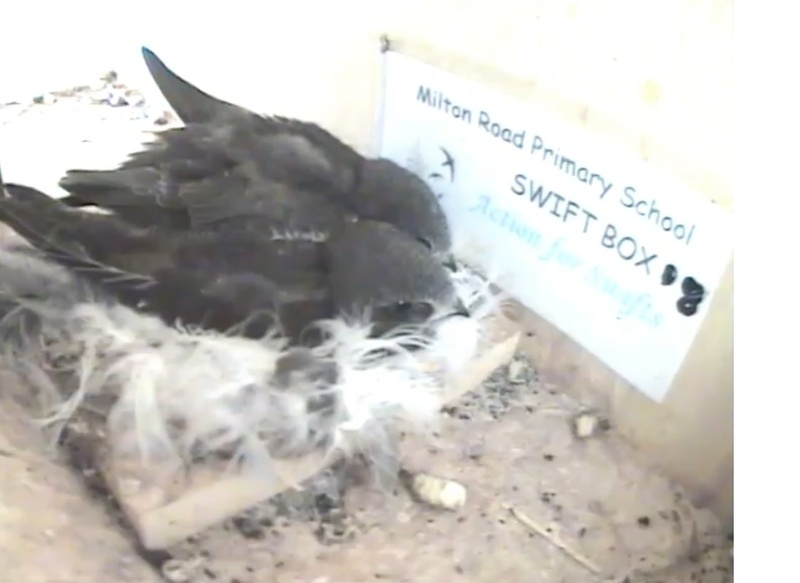 Start from mid-May if the situation is a new site, where there have been no breeding swifts. This is when prospecting young Swifts begin to arrive. Experience has shown that playing calls during the second half of June and the first 3 weeks of July gives the most positive results. Play the calls from just after dawn until just before dusk. Early and late seem to be best. Afternoons are probably the least productive, though any time of day in fine weather can be successful. Louder is better, but one may need to compromise with neighbours. Find a volume and playing time that keeps everyone happy. To attract Swifts, persistence and patience are essential. The more and the louder your playing, the better your chances, but it may still take a year or three. After you have attracted your first pair, continue playing to get more, you will not frighten established birds away. However, after a certain level of occupancy, you increase the chances of attracting intruders into occupied boxes, resulting in fights. If this happens, then it may be advisable to stop playing the calls. So good luck and we hope you are successful in attracting these wonderful birds to nest. You will be richly rewarded for your efforts by magnificent flypasts for many years to come. N.B. Swifts and warm sunny weather go together like strawberries and cream! The better the weather the more swift activity and the better your chances of success in any given year! Still very helpfull post! Thank you for sharing this info! The calls that I use are a medley of the Dutch calls, with only short gaps in between. I don't know of any experiments as to how gaps of varying length might affect effectiveness. These systems are great - small and effective ! Put together the caller system earlier this year, worked very well with solar charging of a leisure battery powering it, however the tweeters suggested were of tragically poor quality and were quickly returned and replaced with the Amazon item below, these gave amazing crystal clear results after mounting in the bottom of a plastic beaker which weather protected them plus acted like a small megaphone, overall a great package with the replaced tweeters. We have used these on a number of projects, as you say, they are very good. These tweeters are currently unavailable from Amazon, can you suggest another alternative? 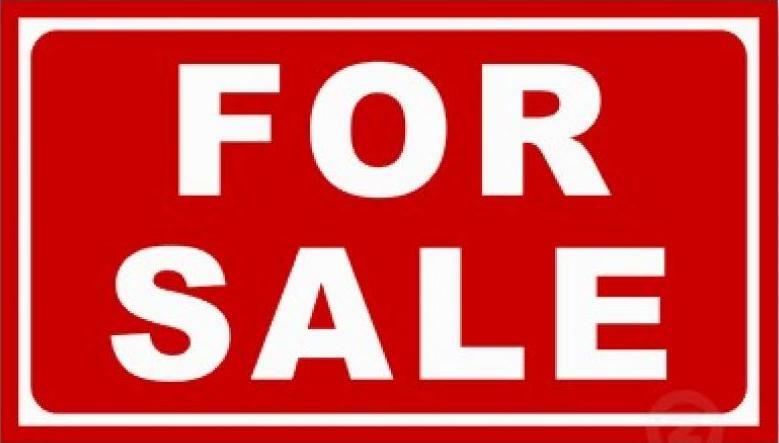 Get in touch via our email address and we may be able to help you. Hi.At the tail end of last summer built and erected a swift tower with 15 nest boxes and a further 3 fitted to the cottage wall. Initiated calls created amazing results after only 1hr. Hopefully the birds will visit again soon! Maps of Swift Observations 2013 - see the spring migration as it happens! We provide this Paypal link as a convenient mechanism to make payments to Action for Swifts. Please provide a meaningful reference with any payment. You can either use your Paypal account, or a credit card.